A $10 hot dog better be the best damn hot dog you’ve ever eaten. Either that or it better keep your favorite bar from running into legal trouble. At the Bank Street Brewhouse in New Albany, Indiana, it’s the latter. The brewhouse made some Internet fans this week when an astute Redditer found its Indiana Statutory Compliance Restaurant Menu, complete with the overpriced dog. Bank Street wanted to stay on the right side of the law so it went so far as to print this exact excerpt on the menu, before proceeding with their take on “minimum food service”—which includes a $10 Hotdog Sandwich (“microwaved to perfection…sans condiments”), a $10 bowl of soup from “Chef Campbell” (“whichever can is on top of the stack”), a $5 instant coffee (“available black, or black”), a $5 powdered milk (“with or without water”) and Sprecher Craft soft drinks (at “market pricing”). According to Brian LaBore, a bartender at Bank Street, “The menu items have been around for a couple of months now…but the print menu as you’ve seen it has only existed for about three weeks.” Asked if he hopes the new attention the menu has garnered will further discussion about Indiana’s beers laws, he sounded optimistic, “It would be terrific if it did.” He did not let us know how many hot dogs or cans of soup the place has sold so far. The Brewhouse isn’t alone in its mocking disdain for the state’s beer laws. Many residents believe that Indiana lags behind the rest of the country in keeping its alcohol regulations modern. 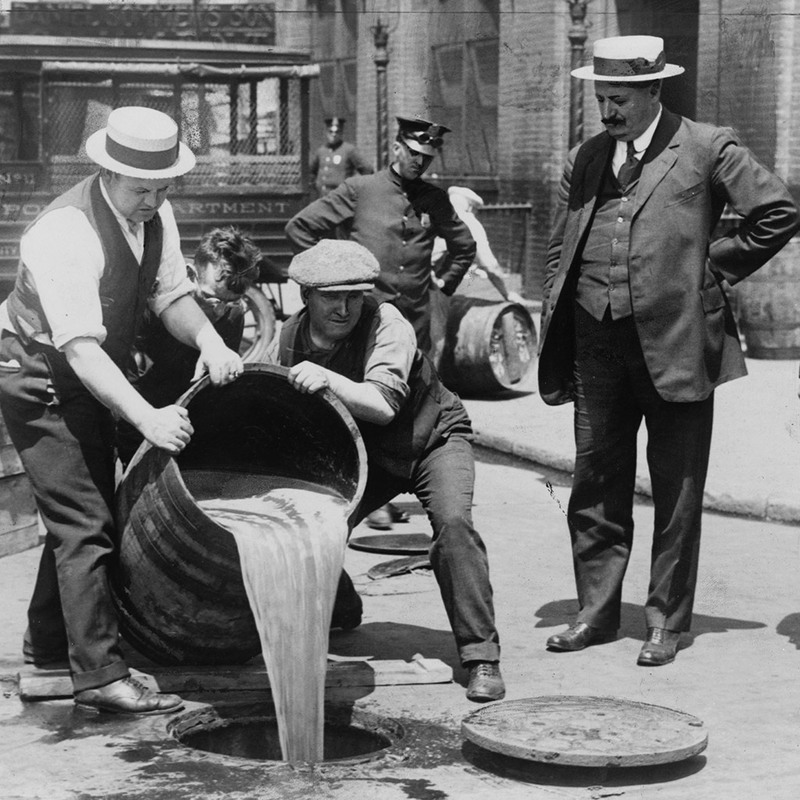 (We even included Indiana on our recent list of 7 Bizarre Beer Laws You Won’t Believe Are on the Books.) However, whether one bar’s $10 hot dogs can help change the beer climate in Indiana has yet to be seen. At the very least, it’s a good opportunity to spend a little too much on a weenie.